Earlier in the week, Rihanna was photographed making out with a mystery man in a pool (read here). The identity of the man has now been revealed and he is no ordinary Joe. Her secret lover is Hassan Jameel, whose family has the exclusive rights to sell Toyota cars in the Middle East country. Hassan happens to come from one of the richest families in the world. He is the deputy president and vice chairman of family business Abdul Latif Jameel, one of the biggest companies in the world. After steamy photos emerged of Rihanna kissing Hassan during a vacation in Spain, friends of the singer came out to say that she's told them she's really in love with the billionaire, who has a net worth of $1.5billion. A source said: "This relationship is the real deal. Rihanna has told friends she’s in love with him and seems completely smitten. They’ve been spending a lot of time together away from prying eyes and are really serious. They’re really enjoying each others’ company." 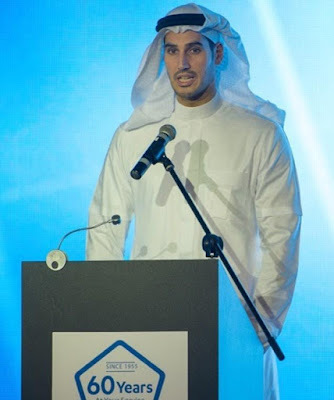 Hassan is deeply involved in running his family's business and is known as one of the faces of the company. He has been pictured meeting notable people, including the British Royal, Prince Andrew. 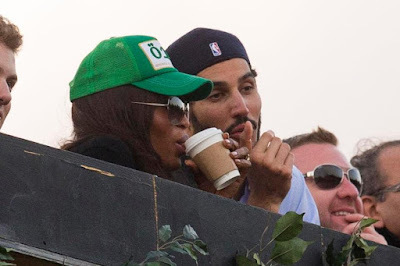 Hassan has been linked with supermodel Naomi Campbell and they have been spotted in the past getting quite cosy. They seemed really affectionate with each other when they were seen together in July 2016 at Barclaycard British Summer Time Festival in Hyde Park.